Everything The O.C. : The O.C. 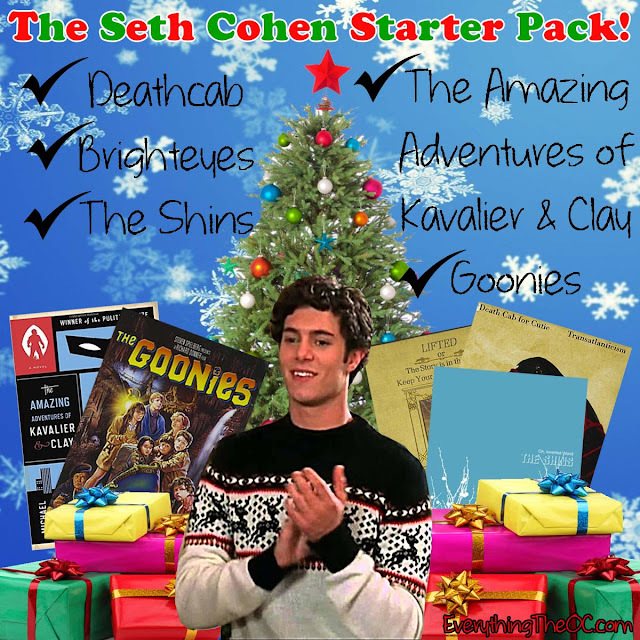 Holidays: The Seth Cohen Starter Pack! Having trouble figuring out what to give the love-ones in your life this holiday? How bout try the Seth Cohen Starter Pack! The Seth Cohen Starter Pack contains everything your gift receiver could ever need! Deathcab, Brighteyes, The Shins, The Amazing Adventures of Kavalier & Clay and The Goonies! This epic combo has twice the resistance of any normal Christmas gift and is bound to bring a huge smile on your family's face this holiday season! And finally here is Seth's hilarious Seth Cohen Starter Pack Speech!